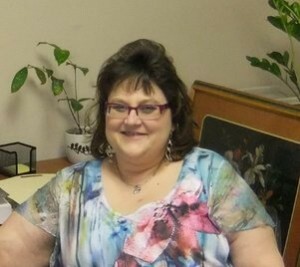 Hi, my name is Regina Midgett, LPC (Licensed Professional Counselor) and I am now full-time at our Wilmington office. I work Tuesday through Saturday typically during the hours of 8:00AM – 6:00PM, but my hours are flexible because I am happy to work with clients to schedule appointments as conveniently for you as possible. I have been with Family Works Psychological Center for seven years, both in Wilmington and Clinton, NC. I received my Master’s Degree in Psychology (Counseling Concentration) from Tennessee State University in 1996. My previous work experience in mental health includes working at a residential treatment facility for children and adolescents for three years. I spent the eight years prior to my time at that treatment center with a community mental health agency: working in school settings administering Functional Behavioral Assessments and working with teachers to provide Behavior Plans for students, providing individual and group therapy at the schools with children and adolescents, and working with families in the home. My first employment was at a Child Advocacy Center, and I also have experience working with adults in a partial-hospitalization program. In addition to my clinical work, I have taught General Psychology and Developmental Psychology courses for ten years at various community colleges, including three years at Cape Fear Community College. I specialize in working with children and adolescents with all different diagnoses including Autism, ADHD, behavioral issues such as ODD, and emotional issues such as grief, trauma/abuse issues, anxiety, reactive attachment disorder, and others. However, I also provide counseling for adults with mental health diagnoses such as anxiety, depression, personality disorders, PTSD, bipolar disorder, anger management issues, and autism. I provide therapy for couples for marital conflict, pre-marital counseling or other issues. My counseling goal is to assist clients in making real and positive changes their lives and help them learn coping strategies and skills to manage symptoms related to mental health issues. I use a variety of counseling techniques such as Cognitive Behavioral Therapy, play therapy, psychotherapy, stress management, and other skills catered to each client’s individual symptoms and needs. Forms of payment I accept include self-pay and the following insurances: Medicaid, BCBS, United Healthcare (UHC/UBH), Aetna, Medcost, Magellan, Arcadia, MHN, Tricare and Humana Military.